Valor Health will give a personal thank you card to every employee for their dedication to providing care in our rural area. We will also sponsor a lunch-time walk around our campus on the Mary Secor Trail, which was recently dedicated to the legacy of healthcare in our community. 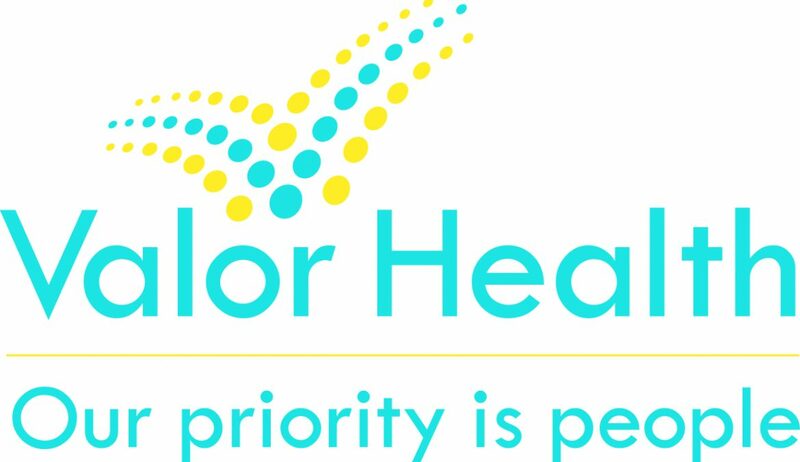 For more information contact Brad Turpen at brad.turpen@valorhealth.org. To promote the Power of Rural on NRHD, Dr. Brookins & Remote Renal Care will feature a PSA on social media, host a Walk with a Doc, and participate in twitter chat #ruralhealthchat! For more information, contact Sharica Brookins at remoterenalcare@drbrookinsmd.com. Nurse Practitioner, Jane Hoover, will be leading a, “Walk with a Doc” walk after work on National Rural Health Day, November 15, 2018. It is FREE and open to the public. She will meet at the start of the Sandcreek Trail and walk with the group out and back, approximately 3 miles. Umbrellas will be provided in case it rains or snows along the way. For more information, contact Nanci Jenkins at nancij2012@gmail.com. For more information, contact Brad Trupen at brad.turpen@valorhealth.org. We have a governor’s proclamation and have set our home page at the rIDOH to info on rural services for the monthly banner. For more information contact Jill D’Errico at Jill.Derrico@health.ri.gov. National Rural Health Day is an opportunity to “Celebrate the Power of Rural” by honoring the selfless, community-minded, “can do” spirit that prevails in rural America. It also gives us a chance to bring to light the unique healthcare challenges that rural citizens face while showcasing the efforts of rural healthcare providers, State Offices of Rural Health and other rural stakeholders to address those challenges. Join SCORH staff, colleagues and friends as we highlight the community of Lake City at the unique Bean Market Museum. This year we will focus on access to healthy food in rural communities, a key component to sustaining and growing healthy rural citizens. For more information contact Stacey Halford at stacey@scorh.net. Be Well Victoria will kick off it’s first ever coalition meeting to begin an all inclusive and broad discussion on mental health and the associated resilience community of Victoria County. As we begin our upstream approach the goal of this coalition is to represent and give a voice to those populations living with stressors. Information: This meeting will outline specific objectives required of coalition members. Lunch will be provided. For more information contact Jodi Sandoval at jsandoval@vctx.org. Hawaii State Office of Primary Care and Rural Health is celebrating National Rural Health Day by obtaining a Gubernatorial Proclamation and promoting NRHD on social media (Facebook, Twitter, Instagram). For more information contact Gregg Kishaba at gregg.kishaba@doh.hawaii.gov. Azalea Health, a leading provider of cloud-based healthcare IT solutions and services dedicated to serving the rural market, is excited to participate in National Rural Health Day! We have a few wonderful activities planned. We are doing daily social media posts on LinkedIn, Facebook and Twitter regarding rural stats. We are creating internal videos of our team where they talk about what Rural means to them (many on the Azalea team grew up in rural areas). We have promoted National Rural Health Day in our customer newsletters earlier this week and have plans to promote in our company newsletter next week, as well as distribute a stand alone email on November 15th. Most exciting, Azalea Health is doing a walk on November 15th, where we will walk 87 miles to raise awareness of the 87 hospitals that have closed since 2010. We will post to social and create an uplifting video about our commitment to working with rural healthcare providers. Our various offices, remote employees and those who will be traveling, are going to walk 87 miles to honor the 87 rural hospitals that have closed since 2010. For more information contact Witney Boudreaux at whitney.boudreaux@azaleahealth.com. Maryland SORH is planning to mark the occasion by receiving a proclamation from the Governor declaring November 15, 2018 Maryland Rural Health Day and a webinar to celebrate this event. SORH would like to offer a webinar to highlight some fundi​ng opportunities as well as projects that are happening within some parts of rural Maryland. For more information, contact Sade Diggs @ sade.diggs@maryland.gov.